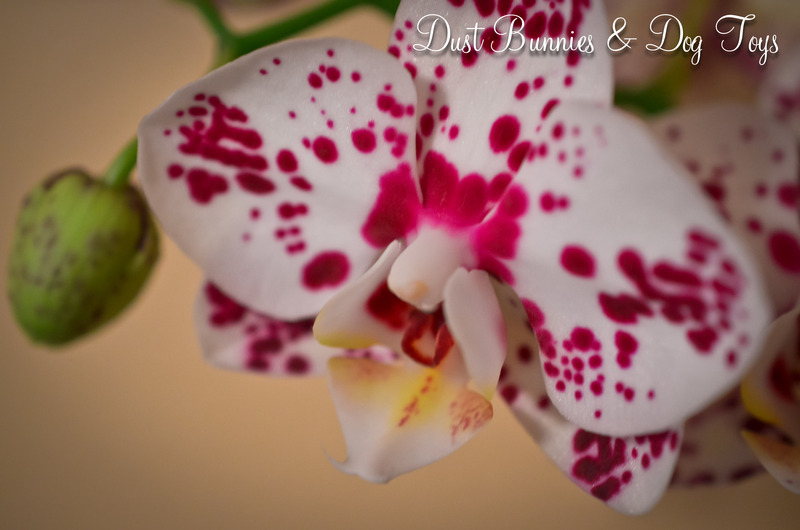 I’ve always thought orchids were exotic and high maintenance, so I’d never considered having one because the plants in my house have to be as hardy as the rest of the things in my home! Then the other day I was walking through Fred Meyer and spotted this orchid which looked exactly like one I’d recently seen on vacation at Balboa Park in San Diego and just had to stop and admire it’s beauty. That’s when I noticed the sale. The smaller orchids like this one were just $16! Really!? I’d always thought that orchids were expensive because of the attention they require so I thought it must be a typo or there is something wrong with this batch. I decided to take a moment and read the tag attached to determine what the catch was. When I did it noted that orchids prefer bright to moderate indirect light and only have to be watered every 20-25 days. WHAT!? That’s it?! How did I miss that?! I immediately decided I would be buying one and set out to find the best color combination available. I moved several around to compare and I’m pretty sure I gave another lady ‘the look’ when she attempted to move in on one of the options I was considering. In the end I was in love with this pink dalmatian pattern and the pot was a pretty mauvey purple so it would work well with my “modern exotic” theme in the master bedroom – which I promise to post about at some point soon. So it went into my cart and came home. I decided it should live on my nightstand where I’d see it it every day, reminding me to water it occasionally. Plus that would provide good indirect light all day from the window near the back door in our room. It’s been about 2 weeks now and so far it seems pretty happy in it’s new local. It’s addition has made this little corner of the room feel like a little slice of paradise just for me. 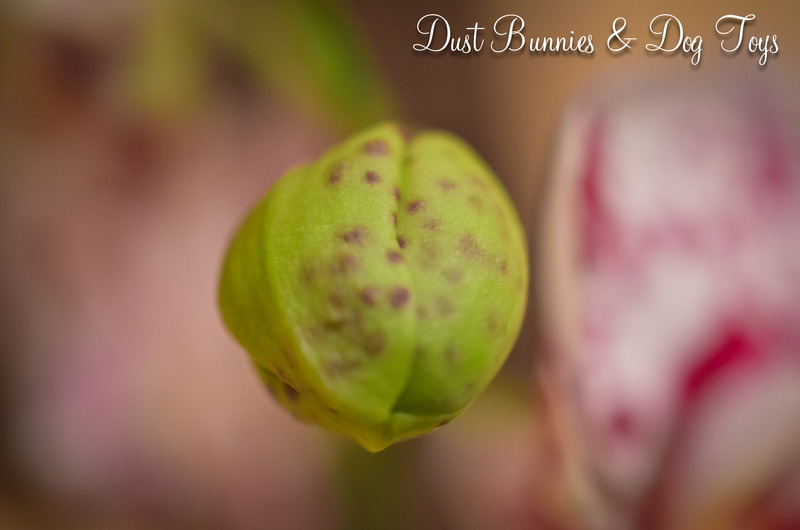 I’m excited to watch the remaining bud open and unfurl more spotted petals. I’m not sure what the life cycle of an orchid is, so I ‘ll have to do some research on that soon, but for now I plan to just enjoy this stunning array of color each morning and evening. Next Another Super-Sweet Craigslist Find! 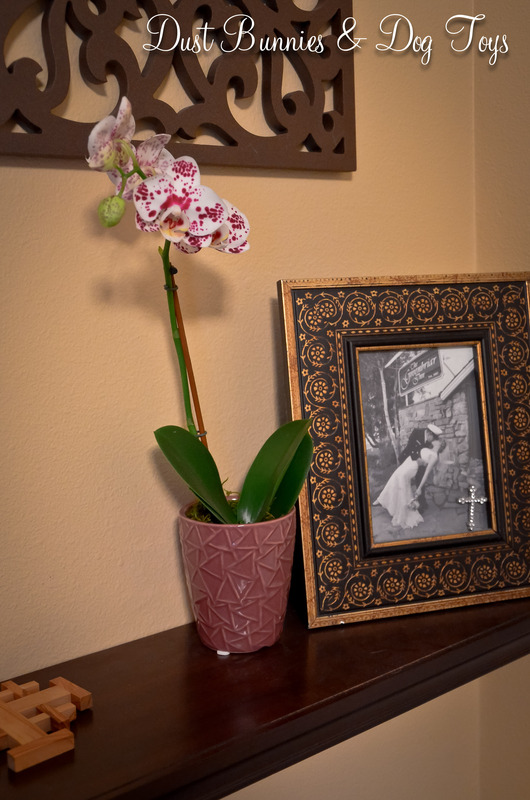 And, did you know that you can water orchids by putting a few ice cubes on top of the roots? bloom cycle…so you know what they say about advice being worth what you pay for it….